Prince Philip, the Duke of Edinburgh and Queen’s husband, aged 95, today announced his retirement from public engagements, after appearing at Lord’s cricket ground the day before in fine health. Perhaps, this was to avoid having the Prince and the Donald (Trump) play golf or upset the Internet together later this year. Buckingham Palace kept the web and social media on tenterhooks overnight for the 10am announcement which turned out to be an anti-climax and with the alternate fake news pronouncements funnier than either the real thing or anything the Duke ever said. “I declare this thing open, whatever it is” (1969) is probably the only repeatable quip of the Duke’s in this politically correct and legitimately zero-tolerance-of-racism age. For more, see the Guardian‘s list. After decades of practice spelling his name right every time he makes a humorous, cringeworthy or sometimes racist gaffe, the press should not have been gaffe prone themselves adding an extra ‘l’ to his name. In fact, so many people on Twitter misspelt it that the wrong spelling was trending on Twitter above the correct spelling! 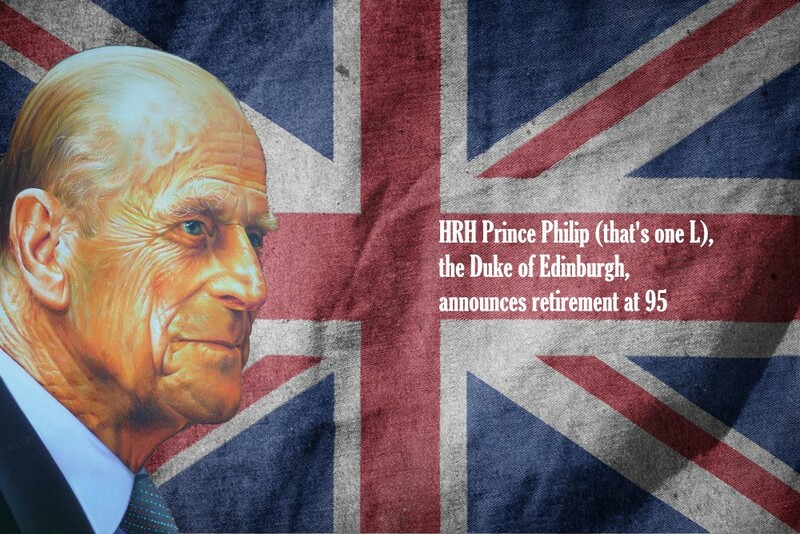 Some people went so far as to prematurely miss-announce the Duke’s death at 95!